Some of the links on this page are affiliate links, which at no cost to you provide me with some small change to help keep this blog running. If you decide to purchase any of these, please consider clicking through my links to help support this blog and my family! Thank you! 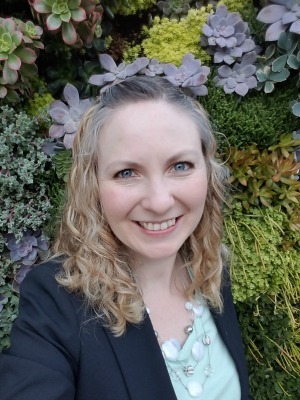 When I was trying for my first child, I struggled with infertility and with recurrent miscarriages and chemical pregnancies. My official diagnoses included High FSH, Low AMH, low antral follicle count (sometimes just 1! ), endometriosis, and MTHFR mutation. The doctors at first told me to try IVF right away, but I wasn’t ready emotionally. 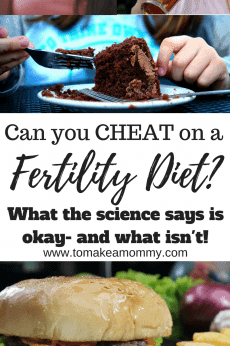 When I went back to the RE (reproductive endocrinologists) at Shady Grove, my FSH had risen to 34 and they said I was no longer a candidate for IVF- I would have to use an egg donor. (You can read my whole story here). To say the least, I was depressed. I sobbed each time my period came or each time we tried to talk about finances for a procedure. In my heart I didn’t want to do IVF or donor eggs at all. I felt broken and I didn’t understand why it was happening to me. And it all felt unfair- why was this happening to ME? I come from long lines of very fertile women. It just didn’t make sense. 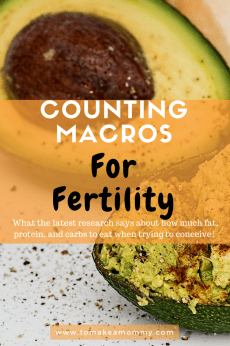 We took a break from trying to conceive and then decided to go ALL IN and do absolutely everything we possibly could to get pregnant successfully with my own eggs. 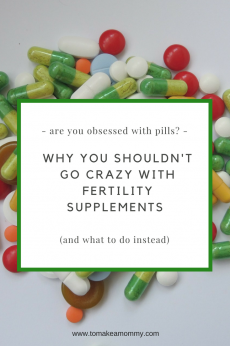 I wanted to do it because I really wanted to get pregnant naturally with my own eggs. My husband really wanted to do it because IVF and IVF with donor eggs is very, very expensive! So I started doing everything I’d read about in books, websites, both mainstream and alternative. 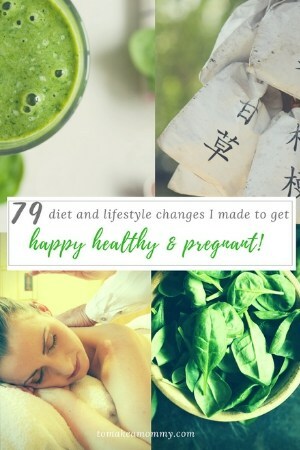 You can find out all 79 Things I did here! 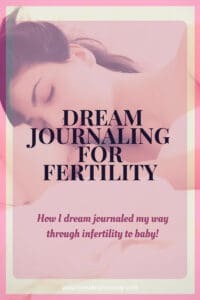 One of the things I did was I started dream journaling, and I truly believe it helped me process a lot of the emotional “blocks” I had that were preventing me from getting pregnant. 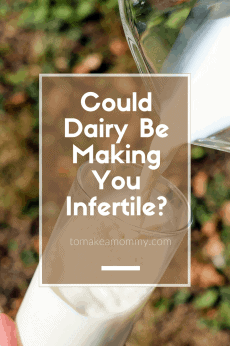 I learned about this practice from the book Inconceivable by Julia Indichova and was encouraged to do so after participating in one of her Fertile Heart teleconference series. Dream Journaling also helped me understand myself and my desires better, feel better connected with my ancestors, and give me hope for the future. This was part of a larger mind-body fertility practice that you can read about in another blog post. You can also read about how I integrated these practices into a typical day here! In this post I’m going to talk about what dream journaling is, how I did it, and how it helped me on my journey! Dream journaling is keep a journal of your dreams. By recording your dreams and reviewing them, you can start to see themes or patterns, or gain insight into your own psyche, your body, your relationships, etc. Tracking your dreams is something that people do all over the world as part of a personal care or spiritual practice. People who want to lucid dream (where you are aware you are dreaming when you are dreaming) often use dream journaling to help them achieve that. Some people use dream dictionaries to try to interpret symbols in their dreams. This comes from the idea of archetypes- that there is a universal human subconscious in which we all understand the same symbols to mean the same things. So for example, a butterfly might mean beauty, or freedom, or fragility to everyone. Some people start their dream journals by recording any important or memorable dreams they can remember- maybe even from their entire lives! I didn’t do this, but if you are looking to jumpstart your practice it might be a nice way to start. Fundamentally, your dreams are where your subconscious lets loose. So, if you can remember your dreams, then you can receive messages from your subconscious. I believe your subconscious is often more closely aware of your true inner desires, hopes, and dreams, so being able to understand its messages is pretty important! I kept a dream journal and a pen on my bedside table, and as soon as I woke up in the morning I would start writing down every dream I remembered in as much detail as possible. Sometimes this was just kind of stream of consciousness, and sometimes the writing was more coherent. Sometimes I was so tired the handwriting was almost unreadable! But mostly I would remember 2-3 dreams per night in pretty good detail. After I wrote them down, sometimes I would re-read them, but mostly I would just write them down. Writing them down then helped me remember them throughout the day, and, if any were particularly meaningful, I would think about them. What did that dream mean to me? What message could I get out of it? What understanding of myself could I gain? I was surprised by the wealth of messages I received from my dreams! I had a dream where there were little embryos of ours growing in a laboratory. I asked the lab technician if I could go put heart stickers all over their little incubator, and they let me do it. It felt good, and loving, and right. I had this dream at a time when I was very against doing IVF at all- I took it as a message from my inner wisdom that if we did do IVF it would be okay. Fear of IVF block cleared! I had a dream where someone shot me (like, with a gun), on the beach while I was relaxing. I was furious, ran up, took the gun, and shot the man. I was immediately horrified and embarrassed. This was followed by a series of dreams of me being very angry and my mother or a girlfriend telling me to stop being so angry. In real life, I’m pretty much never angry. I have this old fashioned inappropriate belief that “good girls” don’t get angry. It means I never show anger to anyone, even myself. This is kind of hugely problematic for being a healthy emotional person. These dreams reminded me that sometimes it’s not only okay, but IMPORTANT to be angry. I also realized that I was angry at God for infertility. And, I needed to express that. I told God, I wrote it down in my regular journal, and I processed it. One more block cleared! I had many, many visits from deceased relatives in my dreams. Before I started dream journaling I’d never remembered those kinds of dreams. These dreams made me truly feel like my ancestors were caring for me and loving me. I was doing quite a bit of praying with my ancestors (especially my great-grandmothers) during this time, so it made me feel even more connected to them. I had many dreams of my future babies. The best were the dreams where I was nursing them. These dreams gave me hope that I would have a baby and that I would breastfeed them. Of course, there were many more dreams, and many more interpretations and emotional blocks cleared or hope received. Do I recommend this for everyone? Well, it depends! How much time do you have? How much are you willing to do? 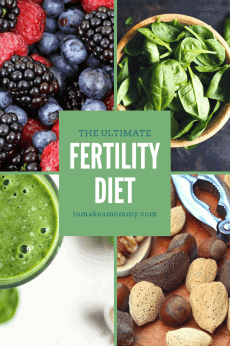 You can check out a sample daily schedule here of my whole fertility mind-body practice. You might want to do some (but not all) of it, if it stressed you out to think of doing it all. Or, if you’re like me, and you love being a crazy overachiever, you might want to do it all! Start by buying yourself a gorgeous journal and telling yourself before you fall asleep that you will remember your dreams! !